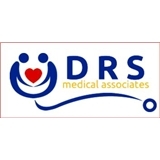 DRS Medical Associates (Jersey City) - Book Appointment Online! Dr Santos and Dr Sharma have been friends for over a fifteen years. They share many of the same values to patient care, yet have their individual style of medicine. After taking care of each other’s family, they have decided to bring that same attention and consideration to the community. Both hope to make their comprehensive knowledge of medicine available to everyone in a personalized manner. Kindly notify the office if you are unavailable to keep your appointment. If you are more than 10 minutes late for your appointment, you may be asked to reschedule. Please note $25 fee for no shows. This was my first visit with Dr. Ritu and she was super friendly and professional. I was seen right away, which was great.